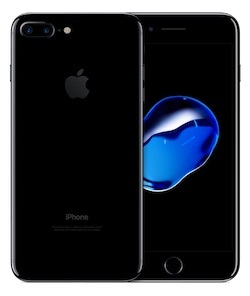 DisplayMate Technologies has declared iPhone 7 has the “best LCD display” it has ever tested, calling it “truly impressive” and a “major upgrade” over the iPhone 6 based on a series of advanced viewing tests and measurements. Apple’s latest flagship smartphone also has image contrast and intensity described as “visually indistinguishable from perfect,” and the smallest color variation when viewing the screen at an angle of any smartphone display. iPhone 7 has two color gamuts, including a new 26% larger DCI-P3 Wide Color Gamut, as found in 4K TVs, and a traditional, smaller sRGB / Rec.709 gamut. DisplayMate said both gamuts have been implemented with absolute color accuracy that is “visually indistinguishable from perfect,” which is “truly impressive” and a “major competitive advantage” over other smartphones. DisplayMate said the iPhone 7 has “the most color accurate display” that it has ever measured, adding that the smartphone’s display is “very likely considerably better than any mobile display, monitor, TV, or UHD TV” that consumers have. In technical terms, the iPhone 7 has a “Just Noticeable Color Difference” (JNCD) rating of 1.1, which is the best result of any smartphone it has ever tested. Despite having a much wider color gamut, the iPhone 7’s display is 7% more power efficient than the iPhone 6’s display. On the iPhone 7 the Maximum Screen Brightness can go much higher when Automatic Brightness is turned on, so that users can’t permanently park the Manual Brightness slider to very high values, which would run down the battery quickly. High Screen Brightness is only needed for High Ambient Light, so turning Automatic Brightness On will provide better high ambient light screen visibility and also longer battery running time. However, the iPhone 7 doesn’t come close to the record low 1.7% screen reflectance of the 9.7-inch iPad Pro, which has a special anti-reflective coating. Unfortunately, AR coatings still can’t be used with smartphones, which have much higher abrasion and scratch issues than tablets and other touch screen displays because they are small enough to be carried in pockets and bags that have all sorts of scratchy things inside. A number of companies are working on technologies that can produce both low screen reflectance and high abrasion and scratch resistance […] but it’s challenging and also has to be cost effective. Since peak brightness can’t keep increasing due to battery power limitations and thermal issues, developing a low reflectance screen will be the key to improving display performance in high ambient light. DisplayMate said the iPhone 7 has “excellent viewing angle performance” with no visually noticeable color shifts. The display had the smallest color variation when viewed at an angle, earning a JNCD rating of 2.1 or less.